One of the hardest things about getting into Internet marketing is the steep learning curve. Many people over estimate the understanding of Internet marketing and over the course of a month or two, they quickly realize how little they know. In many ways, the Internet and the business that takes place on it are the wild wild west of our day. Everywhere you look, there is someone promising you that they can make you an Internet marketing millionaire. The truth is that it takes hard work to make money on the Internet, but for those who find the right information and who educate themselves, there’s a lot of money to be made. So, how do you learn Internet marketing? Some would say that trial and error, but I’m all about efficiency and quality shortcuts. One of the things that accelerated my learning and money making was joining training courses that are operated by individuals who have a great reputation in the business. One issue that many beginners have is the cost of these courses. One thing that I did was find a course that had a $1 14 day trial and examined the entire site before moving on. One of my favorite learning sites is www.nicheprofitclassroom.com. This is a site/training program that is operated by Adam Short. His training program has tons of great reviews on several Internet marketing forums. Adam’s NPC training site will only cost you $1 to enter a 14 day trial and then after that, it will cost you $67 per month. That is a lot of money, but it will only cost you a buck to try it out. While on my 14 day trial, I learned a ton of things. Most importantly, Adam has everything in one place. He focuses on building small niche based sites that are easy to rank in Google and on Authority sites. If you want to learn an SEO approach to Internet marketing, then NPC is a great choice. Another site that is SEO based and that has a great reputation for training new Internet marketers is Wealthy Affiliate (www.wealthyaffilite.com.) It is free to join their site but to move on to the deeper lessons will cost your $50 per month. Sometimes they run a $19 a month special for free/trial members. So far, I have only shown you sites that charge money. I will now show you some free sites that you can use to learn internet marketing. When I talked about NPC, I described it with everything in one place. One of my favorite places to discuss and learning Internet marketing tactics is www.warriorforum.com. I’m sure that if you are into internet marketing, you’ve come across this site. It is a great place to discuss the industry and various marketing techniques. You will not find everything gift wrapped for you but you will find a diverse community of newbies and experienced marketers. The information is free and they cover more than just one subject. You can learn SEO, PPC, PPV, Media buying, Blogging, Email Marketing, Offline Marketing, and many other forms of marketing. It is a really good resource. Another forum that I absolutely love is www.blackhatworld.com. This is a site that gets more to the meat of Internet marketing. The name alone should tell you that this is an anything goes forum. If you want to learn all the tactics that the people at Warrior Forum shy away from, then this is your forum. You can learn every form of marketing and even buy/sale services. If you want to learn SEO and use it as your main traffic getting strategy, then www.MOZ.com is a wonderful resource with plenty of articles on SEO and SEM. It is an authority site in the industry and a site that most serious marketers take seriously. Most importantly, it is a free way to learn Internet marketing. I have received some of my best content advice from MOZ. 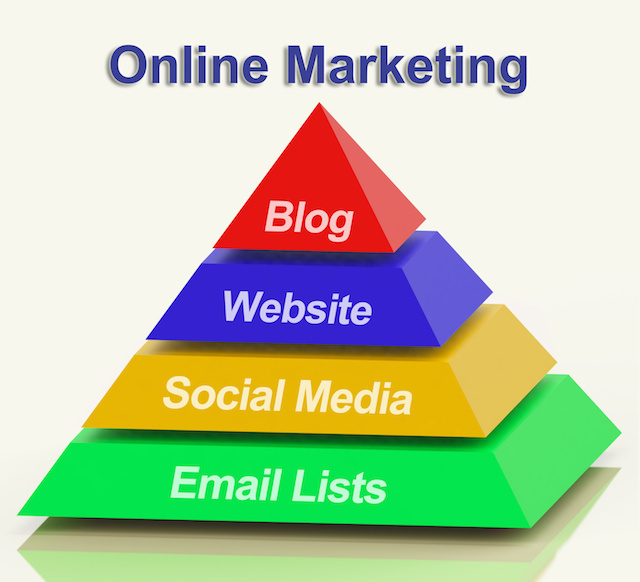 Read their blog and you will have a better understanding of Internet marketing. If you want the number one source on marketing via Google, then you have to pay attention to everything that http://www.mattcutts.com has to say. Matt Cutts is the head of Google’s Webspam Team. He’s the one who has given marketers and businesses so many headaches over the last three years, but he also tells you how to make Google happy. If you are using SEO, then your goal is to make Google happy. Another source of free weekly videos is http://trainingvideoswebinars.com. This site offers free weekly webinars at around 1PM Eastern Time on Wednesdays. You don’t have to view it live because they record the lessons and provide a link. Amin Motin is the host, and he covers all the basic and advanced SEO and content marketing strategies. If you want the skinny on Internet marketing and free training, then this is the site for you. Amin even shows you how to outsource SEO and how to stay on Google’s good side. 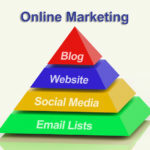 As you can see, there are many ways to find free Internet marketing training resources online. Most of the best training sites are paid sites, but there are several free resources that will benefit any Internet marketer. One thing you must realize is that this information is only as good as your willingness to use it. So many Internet marketers fail because they never truly buy into their dreams and take massive action. For the person who is willing to work, learn to take action and the sites that I have listed in this article to help you make money online.